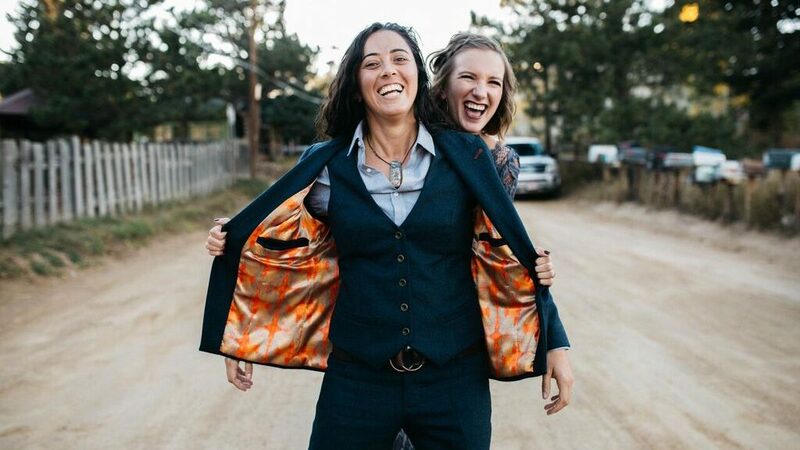 Each year we make suits for the most amazing weddings. 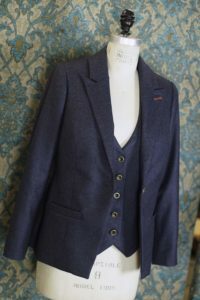 Here are a few pics of a suit that we made for a recent wedding. 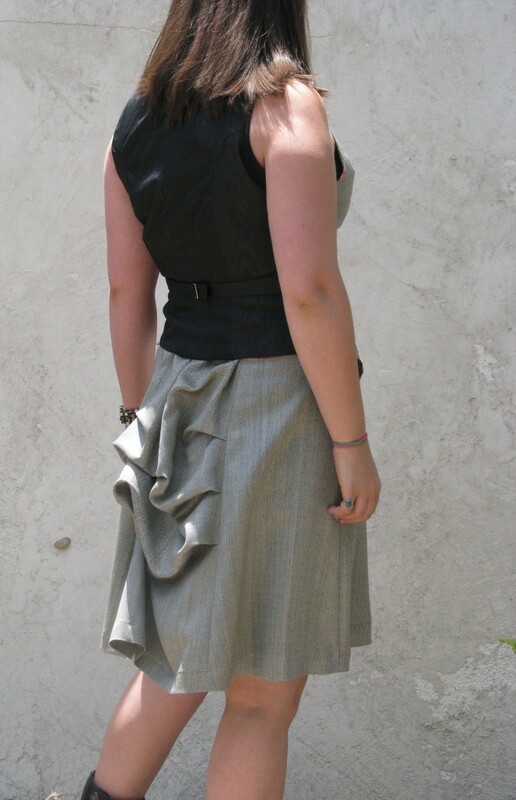 The style features a classic peak lapel jacket and a single breasted vest. The pant is our famous ultra slim 4-seam pant. 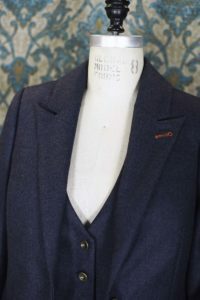 For fabric, the bride choose a worsted wool flannel in a French blue color, with solid antique brass buttons, and a bold rusty orange for a handmade lapel buttonhole. The lining is an amazing custom printed charmeuse. 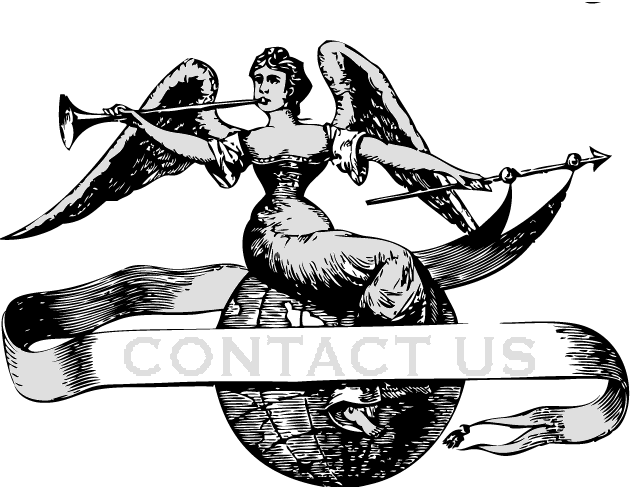 We love the Victorian era and the steampunk aesthetic. 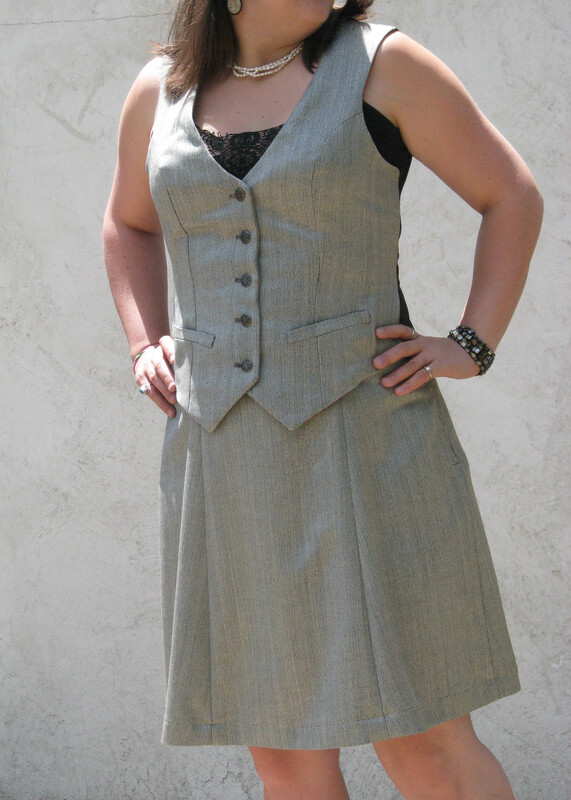 Making Victorian-esque wedding attire is one of our favorite pursuits. 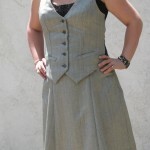 But we also love the idea of introducing Victorian elements into everyday wear. And making business suits both for women and for men is a specialty. 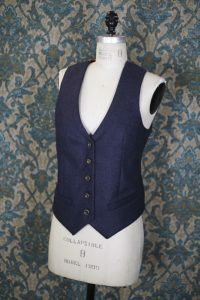 So it was only a matter of time before we decided to make a Victorian inspired business suit. 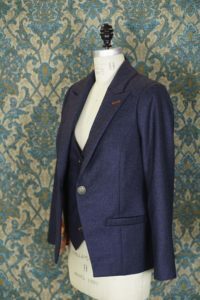 This suit is made from a gorgeous wool/silk herringbone fabric that shimmers slightly in the sun. The weave is made up of black and ivory yarn that read as grey from a distance. 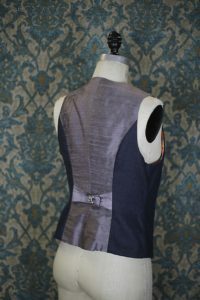 The vest is a simple princess seamed bodice with ornate metal buttons and the skirt is unlined with a draped bustle in the back. Everything that we do is custom made to order. 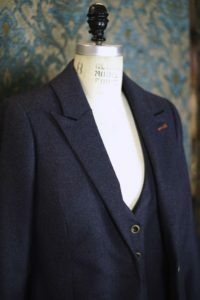 So we can make hundreds of different variations on this suit, mixing and matching vests styles and picking from thousands of different fabrics including the finest wools, cottons, linens and silks. 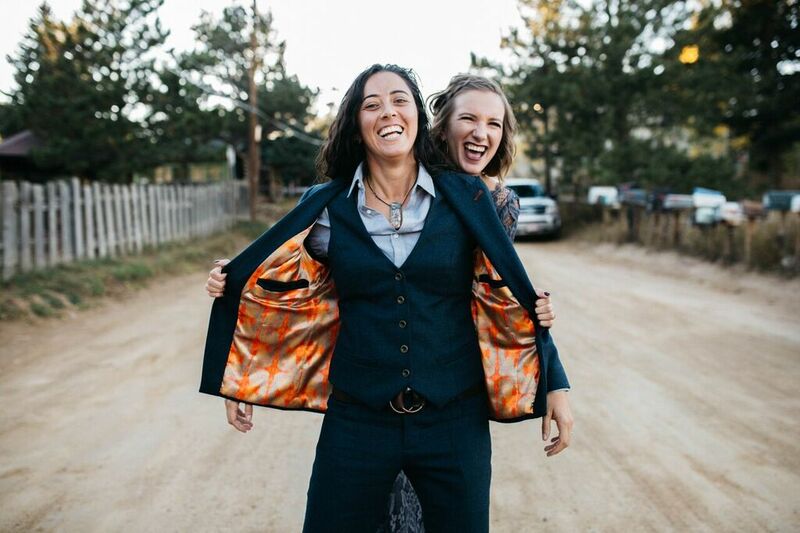 If you would like us to design you a suit, please contact Lianna K. (superhero@vigilantelabs.com) and we can send you some fabric swatches and begin sketching ideas. 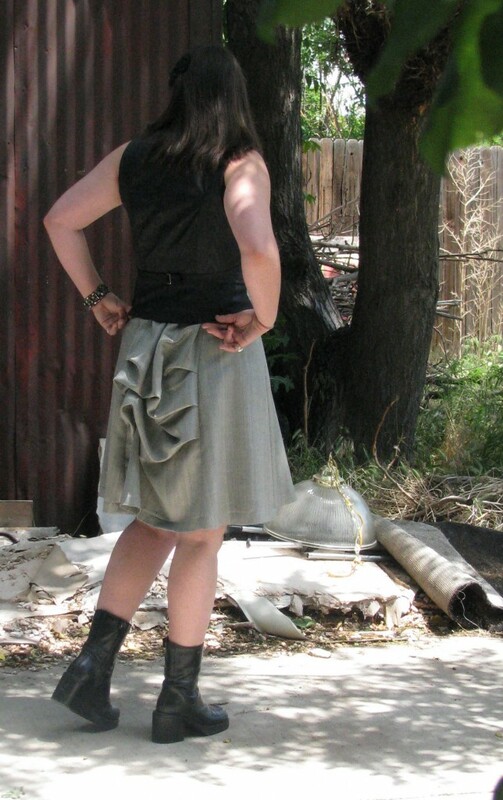 We are a full service couture studio located in Denver, CO and we make clothing for customers all over the world. 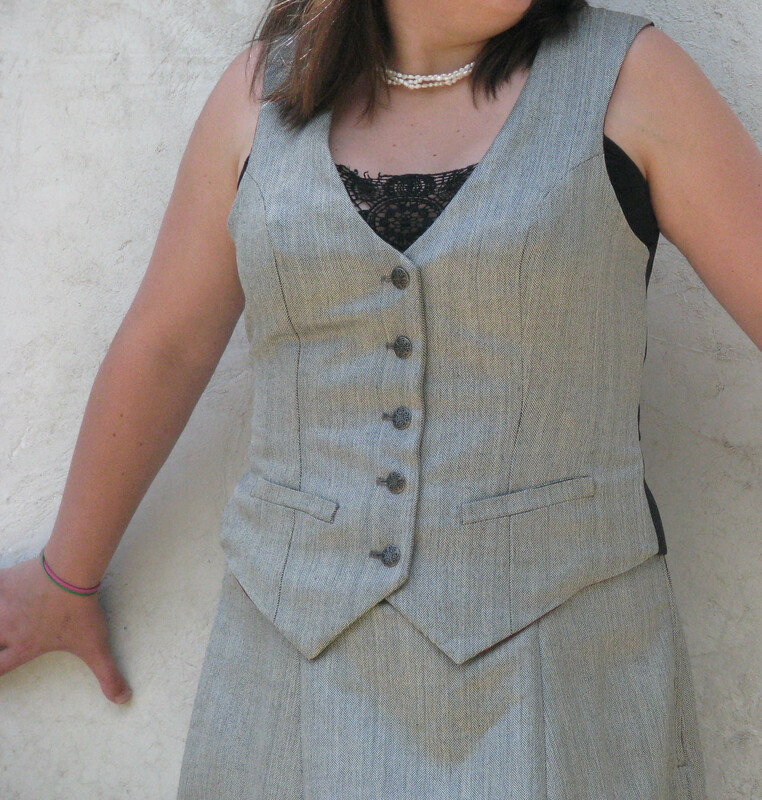 For special occasion wear we also offer muslin fittings by mail. For this process, we send you a cotton mock-up of the pieces to try on before making the final garments. This guarantees that the fit and look will be ideal.